So you went down to the local driving range, pinged a couple of straight drives out of a possible two hundred, and now you’re the next Tiger Woods, right? There’s a lot more going on in the world of golf than the majority of people realize, and a lot more effort that goes into becoming great at the game than they realize too. It’s not just a case of getting good at swinging a club at a ball. Well okay, maybe it is, but there’s way more technique and skill that goes into it on top of that. Think you have what it takes to be the best? Keep reading to find out, because these are the traits you’re going to need. Let’s start things off on a physical level. If your balance is terrible, you’re already at an immediate disadvantage in the world of golf – it doesn’t take an expert to work this much out. If you’re swaying from side-to-side and stumbling around when you should be effortlessly pivoting on the spot and striking the ball with a driven twist of your hips, then chances are you’re going to hook or pull your shot, depending on how your balance is offset. So before you hit the course, consider taking some balancing classes first. Competitive Instincts are Great for Golf! 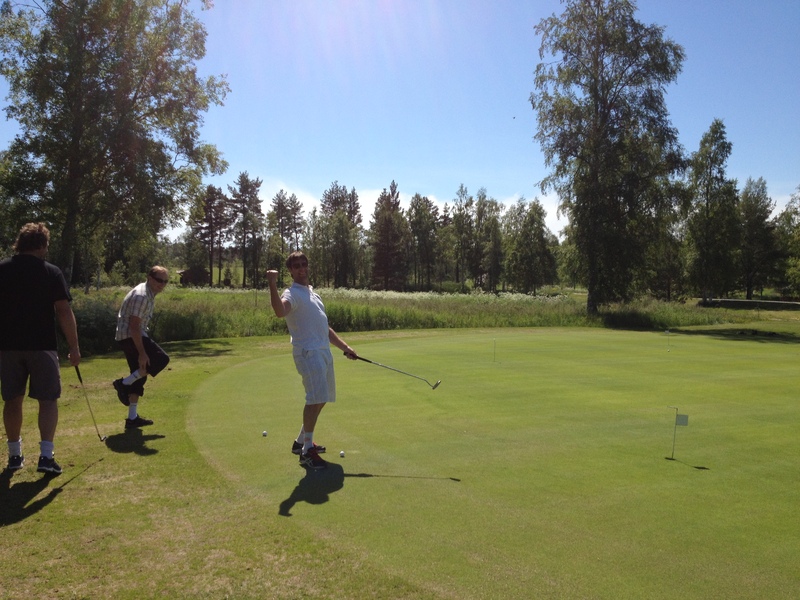 As with any sport, being naturally competitive is very helpful if you want to get good at golf. Then when you take into account that golf is more often than not a solo game, that level of competitiveness needs to be heightened even further. It’s not just good enough to have that burning passion for victory in the pit of your stomach. Once it’s there, you have to keep those flames burning. Failing to do so will lead to lost success and the worsening of your game. Once you get competitive, stay competitive – it’s the only way to fully succeed. The second you start to doubt your golfing abilities is when you end up turning a simple par three into a triple-bogey, because you doubted yourself and shanked your tee shot straight into the drink. You can practice for hours, all day every day, and perfect your swing, your putting, your pitching, your bunker shots – everything about your game. But, the fact of the matter is, if you then begin to doubt those very things you’ve perfected, they aren’t going to be perfect anymore. Confidence is critical. Believe in yourself! The Driving Range Helps, But You Need to Head to the Course to Improve Your Game. No, not dedication, but straight up, brutally manic obsession. If you aren’t obsessed, if you don’t love the sport, you can only spend so long dragging yourself to the driving range and course before you decide to call it quits. It’s one of life’s most simple facts. People won’t do what they don’t love, unless of course there’s money involved. And sadly, if you want there to be money involved in golf, you’re going to have to become obsessed. It’s the only way you’ll get anywhere near good enough. There you have it; those are the traits you will need to possess in order to become the golfer you’re looking to be. Think you have what it takes? Then head over to the course and master your craft. The world tours are waiting!